Haiyan Qin, the China Renewable Energy Society Wind branch secretary, stated that in wind resource level I areas, wind power utilization hours should reach 2180 hours annually in order to achieve 8% return on investment. In our view, while the guiding legislation is an important first step, and while it does address some mechanics of compensation for curtailment, critical aspects still need to be clarified in order to effect the intended policy outcome. First and foremost, if after continued curtailment (or poor resource, or defunct equipment) utilization of a wind project is below the guaranteed level, how will the “curtailed amount” be fairly and transparently established? As far as compensation goes, the proposed reform stipulates using the “on grid tarriff.”This means that if it ever comes to a clear case where curtailment was caused because generation was prioritized instead to a low utilization thermal plant, and the plant pays, its loss is magnified as the total includes the cost of consumed coal as well as the on-grid sale tariff. But presumably the grid in this case will have been the one that made the dispatch decision in the first place. Related to this potential case however, we find it at least positive that the guiding legislation now expressedly forbids forcing renewable power generators to purchase generation rights from thermal producers as has happened in some regions. Of additional concern is the stipulation that renewable enterprises shall share in costs for ancillary services. This seems to confirm that current policy thinking does not include creating a more open market for grid services and power market spot prices to ensure an efficient market for ancillary services. Given the single regional on-grid tarriff, we have seen pump storage for example operated as a cost center for the grid instead of as a profit center buying cheap power in times of high supply and low demand and selling during high demand peaks. We have seen in Europe that ancillary service costs for deepening penetration levels of renewables tend to shrink with power and T&D market liberalization and deeper regional integration. Further policy clarification on this point would do well to go much further eventually enabling renewable projects to actually earn money by providing ancillary services to the grid. The State Council is identifying new measures to support the new energy automobile industry. It has focused on five areas of innovation. 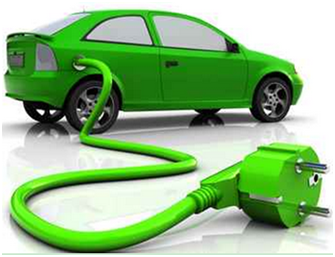 The development of the new energy vehicles has the potential to be a major contributor to carbon emission reductions. Last year, 330,000 new energy vehicles were sold in China.